Robert Smithson’s first career choice was “naturalist.” As he shifted his gaze towards art, his lifelong fascination with the materials of the earth and with the transformations that time manifests became incorporated into his work. 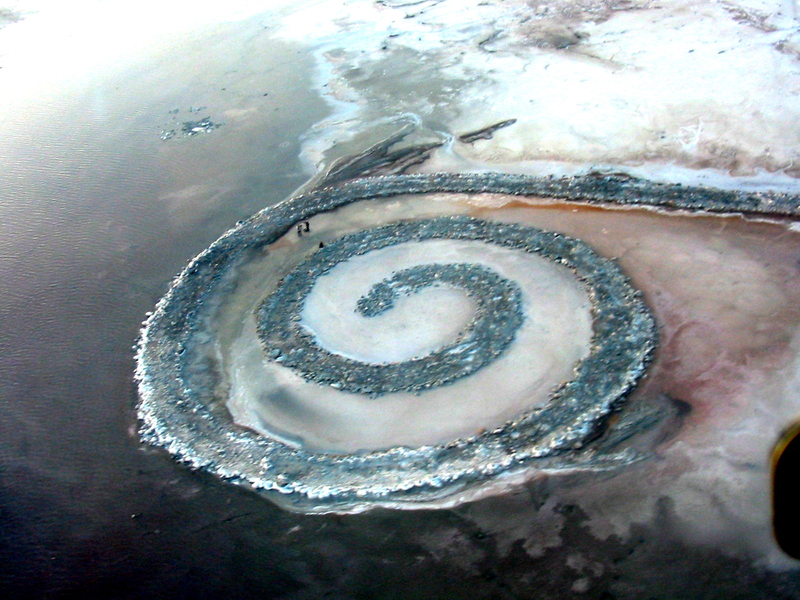 The Spiral Jetty best embodies this synthesis of his life’s interests: Smithson’s internationally famous earthwork is iconic due to the perfect melding of matter and art, of idea and execution, and of place and time. 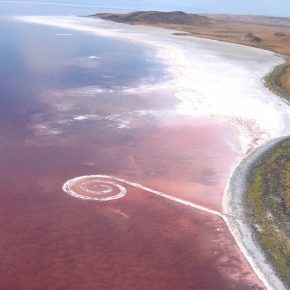 The Spiral Jetty turns forty this month. 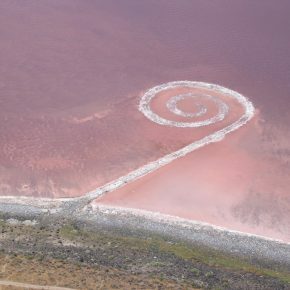 Created over the span of several weeks in April 1970, it was conceived by Smithson and executed by a construction crew who moved rocks and earth to form a spiral of sculpted mass in the north arm of the Great Salt Lake. 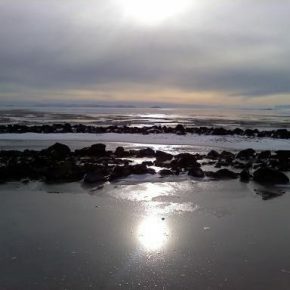 The ever-changing water that surrounds the Spiral Jetty forms a mirror spiral, hugging jetty rocks when the lake’s level is near those found in 1970. The lake is an entity in flux, though, rising and falling in concert with the annual seasons and with the larger forces that bring flood and drought to the West. Levels tend to be highest each year in early summer as nearby mountain snows melt, draining into Great Salt Lake. Conversely, the lake’s levels are lowest in the late fall (October, November) after the summer’s heat has led to evaporation in this terminal lake. 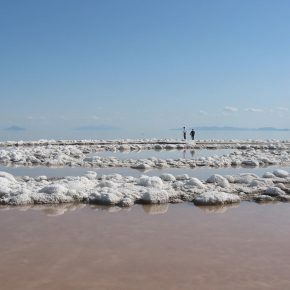 The Great Salt Lake sits at two levels – one on the north end, one on the south – having been virtually cut into two sections by the Lucin Cutoff, built across the lake in 1904. In April 1970, the lake at the North Arm was recorded at 4195.40 feet by the United States Geological Survey. The north arm’s levels are calculated at Saline, on the southwest end of Promontory Mountain Range, not far from Rozel Point. 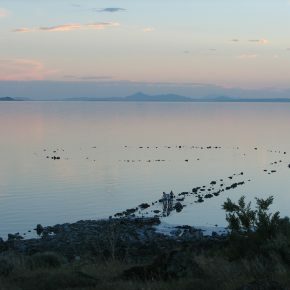 Built when the lake was at a relatively low point, the Spiral Jetty appears and disappears according to the lake’s levels. 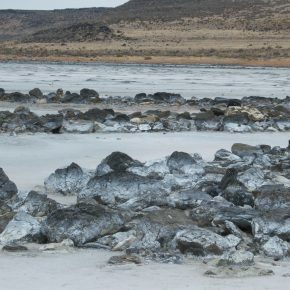 It is hard to imagine the 1987 level, when the lake was almost sixteen feet higher than the Spiral Jetty, just as it is easy to see how the drought has affected the area in recent years, as the lake’s shoreline has meandered away from the shoreline of 1970, leaving the Spiral Jetty high and dry. One way to celebrate the Spiral Jetty’s anniversary is to create a list. Smithson’s interest in the strata of the earth was translated on occasion through numbers and lists depicting layers of matter. Smithson’s childhood pediatrician, William Carlos Williams, included strata levels of earth at Paterson, New Jersey, in his epic poem, Paterson. This layering of earth, clay, and dirt is calculated and recorded by geologists, giving us a fascinating glimpse into layers of substance unseen from time long past. 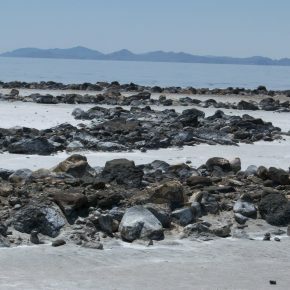 Rozel Point, the location of the Spiral Jetty, has been so charted: in 1963 the oil seeps of Rozel Point were delineated by the Utah Geological and Mineralogical Survey as layers of earth, asphalt, rock, mud, and clay hundreds of feet beneath the rough rocks and dusty earth of the region’s surface. 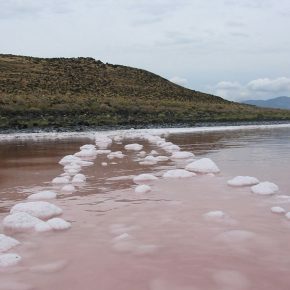 Following are calculations for each April since 1970 — date, lake level, rise or fall of the lake’s level based upon 1970’s level – thus adding one more level of strata to the Spiral Jetty. has taught art history at Westminster College since 2006, and has also taught at the University of Utah and Weber State University. 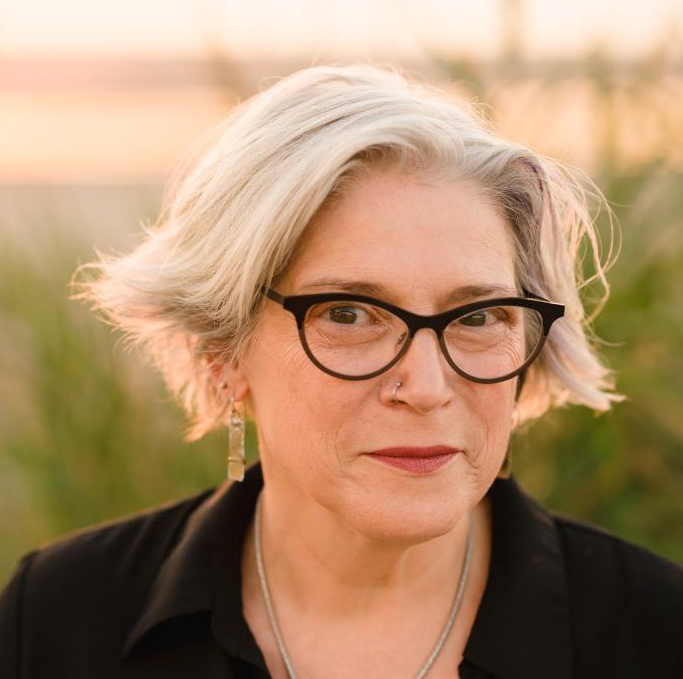 Her extensive exploration of Spiral Jetty was published by The University of Utah Press and the Tanner Trust Fund in a book titled “The Spiral Jetty Encyclo: Exploring Robert Smithson’s Earthwork Through Time and Place” in 2017; it won the 15 Bytes Art Book Award in 2018. Love the list and I think Smithson would have loved it too! 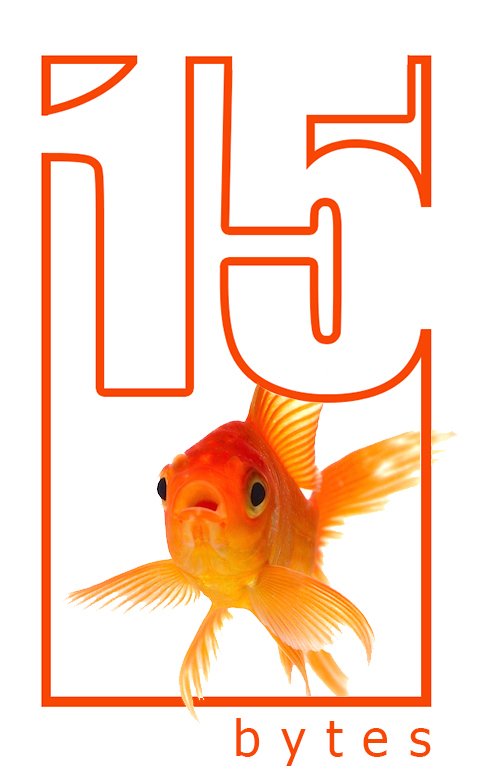 Can’t wait to return next week for my first visit since 2005, when it re-emerged.